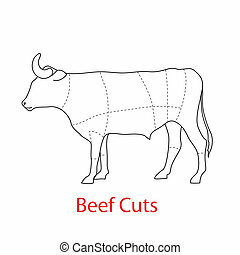 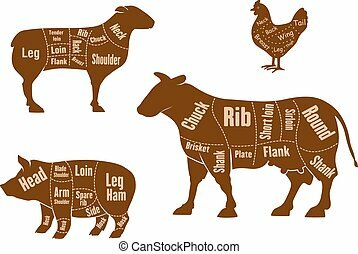 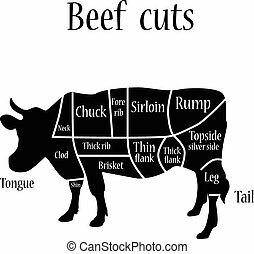 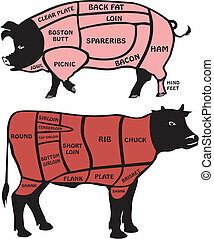 Cuts of beef and pork meat cuts. 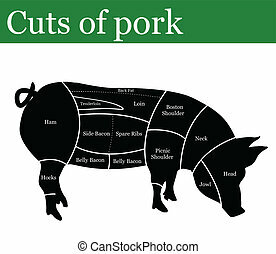 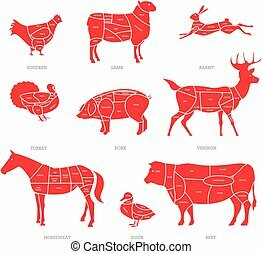 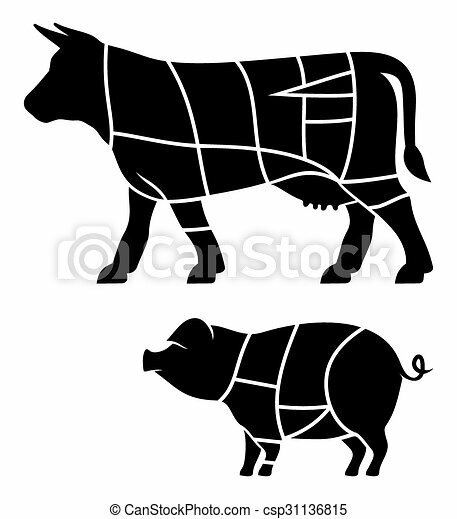 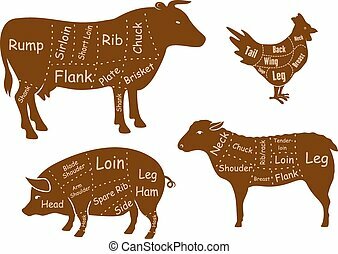 Hand drawn Pig, pork Meat ham cuts, parts, chop hand drawn butchery vector set. 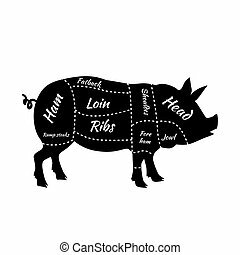 Engraved meat collection chalkboard. 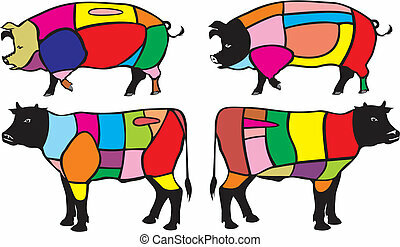 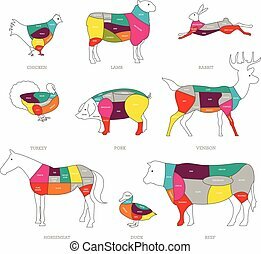 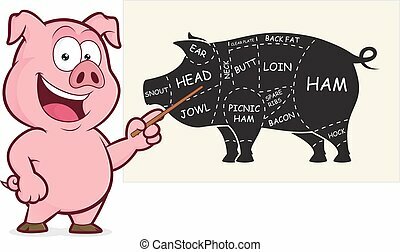 Hand drawn colored Pig, pork Meat ham cuts, parts, chop hand drawn butchery vector set. 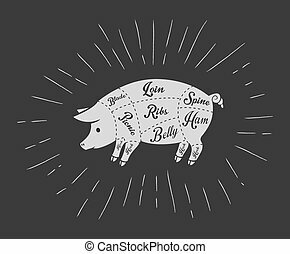 Engraved meat collection chalkboard.